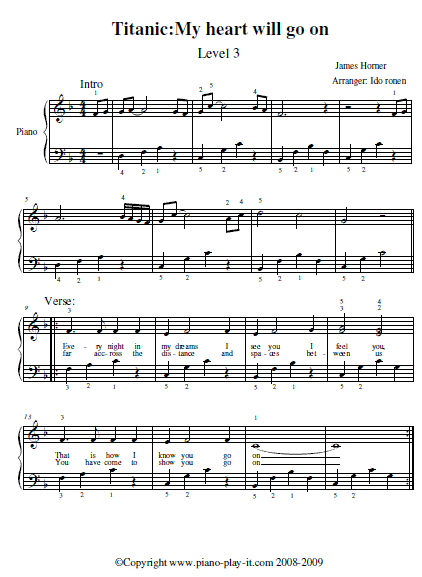 Here's the piano sheet to the theme song of one of the most popular and classical films ever. Celine Dion sang it amazingly and since the song is so easy and catchy we decided to add it to our website in order to give you some great material to practice you're notes reading while trying to learn to play piano. Click here if you haven't signed to Piano Playground, our free E-zine yet make sure you do that in order to get the username and password codes for the Titanic piano sheet music I provide here under.